The closure of one of the most important pipelines in the oil market sent Brent prices soaring on Monday, with one analyst claiming it was "one of the most significant unplanned crude oil shortages we have seen this year”. Oil prices have since lost those gains, with markets apparently recovering from the original price shock. - The fourth LNG train at Cheniere Energy’s (NYSE: LNG) Sabine Pass export terminal was completed in August 2017, bringing total U.S. LNG export capacity up to 2.8 Bcf/d. 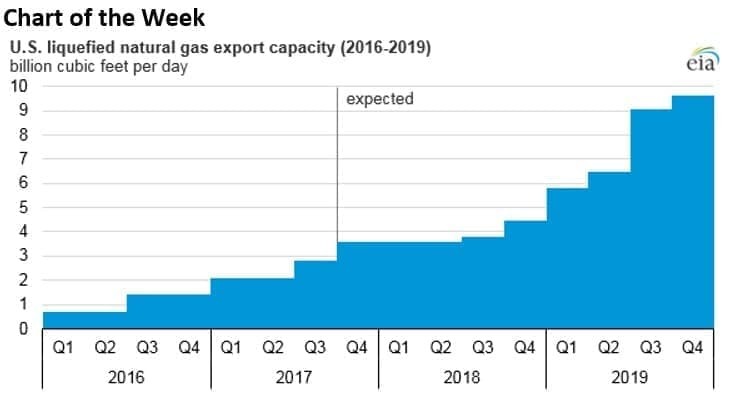 - Another 5 LNG projects are under construction in the U.S., and when completed, they will take export capacity up to 9.6 Bcf/d by 2019. - The 5 projects are: Dominion Energy’s (NYSE: D) Cove Point project in Maryland; Kinder Morgan’s (NYSE: KMI) Elba Island LNG in Georgia; Freeport LNG’s project in Texas; Cheniere Energy’s Corpus Christi project; and Sempra LNG’s Cameron project. • Oasis Petroleum (NYSE: OAS) agreed to acquire more than 20,000 acres in the Delaware Basin from Forge Energy for $946 million. Oasis’ share price fell 2.7 percent after hours. • ExxonMobil (NYSE: XOM) said it discovered oil in its EG-06 block offshore Equatorial Guinea and will follow up with an assessment of the project’s commercial viability. • Phillips 66 (NYS:E PSX) and Enbridge (NYSE: ENB) announced plans to build a major pipeline from the Permian Basin to the Gulf Coast, a project that would have an initial carrying capacity of 385,000 boe/day. Oil prices jumped at the start of the week due to the cracked pipeline in the North Sea (see below). Brent briefly rose to its highest point since 2015. Bloomberg: Nodding donkeys failing. Longer laterals in thousands of shale wells are pushing pumpjacks (aka nodding donkeys) to the limit. The pump systems that help squeeze out oil can work on vertical wells for years, but Bloomberg reports that the stress of trying to pump from extremely long horizontal wells is leading to a rapidly growing fail rate for these iconic nodding donkeys. That is pushing up costs for some shale wells and could also result in oil being left in the ground. The problem is especially acute at older wells where it becomes more difficult to extract oil because of declining well pressure. The industry is trying to find some workarounds, but there is no silver bullet. Chevron says Colonial Pipeline fees are excessive. 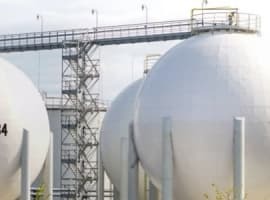 Chevron (NYSE: CVX), Valero (NYSE: VLO) and Delta Air Lines (NYSE: DAL) have lodged a complaint with U.S. FERC over what they say are excessive fees along the crucial Colonial Pipeline that carries gasoline from the Gulf Coast to the Mid-Atlantic and Northeast. The companies argue that Colonial’s fee to transit gasoline “greatly exceed just and reasonable levels.” Colonial argues the case has no merit. UAE, Kuwait signal exit strategy. The UAE’s energy minister said on Monday that OPEC could draw up an exit strategy in June if the oil market appears to be balanced. “We will meet in June, and hopefully the market will be in a much better condition for us to come and announce an exit strategy,” the UAE’s Suhail Al Mazrouei said at the Bloomberg Invest conference in Abu Dhabi. Kuwait’s energy minister went further, saying that the entire production cut deal could be dissolved before the end of 2018 if market conditions warrant. He acknowledged Russia’s desire to exit the deal as soon as the market becomes balanced. World Bank will cease funding for oil and gas by 2019. In recognition of the climate goals laid out in the Paris Agreement, the World Bank announced that it would no longer offer financial assistance to upstream oil and gas projects after 2019, although it said it would consider cases in exceptional circumstances in the poorest countries. Saudi Arabia to keep oil exports at 6.9 mb/d in January. Saudi Aramco said that it aims to ship 6.9 mb/d of oil in January, a low level that demonstrates the country’s resolve at draining inventories. 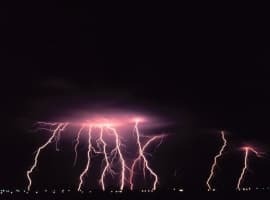 “Aramco will maintain its overall supply levels next month at their recent low levels,” the Saudi energy ministry said. ExxonMobil to disclose climate risks. In a major concession, ExxonMobil (NYSE: XOM) said that it would provide more disclosure related to its potential risks to climate change. The company wrote that it would offer more information “in the near future” in an SEC filing. The oil major has been under growing pressure to do so for years, even amongst its own shareholders. Exxon said its board “has reconsidered the proposal requesting a report on impacts of climate change policies that the New York State Common Retirement Fund submitted for the 2017 annual shareholders meeting," and would offer more information related to "energy demand sensitivities, implications of two degree Celsius scenarios, and positioning for a lower-carbon future." U.S. oil exports could rise as Gulf Coast ports beef up. The Louisiana Offshore Oil Port (LOOP) will soon be able to handle very large crude carriers (VLCCs), which could open up the U.S. to higher levels of crude exports. “Expanding U.S. ports to accommodate direct loading of VLCCs will logistically help to streamline and expedite exports," said Michael Tran, a commodities strategist with RBC Capital Markets LLC, told Bloomberg. Up until now, VLCCs have had to use smaller ships to ferry oil from the shore, an operation that can add about $0.50 per barrel in costs. Hedge funds take profits. Reuters reports that net long positions by hedge funds and other money managers in crude futures dipped in the most recent week for which data is available, a sign that major investors booked profits following the OPEC meeting. 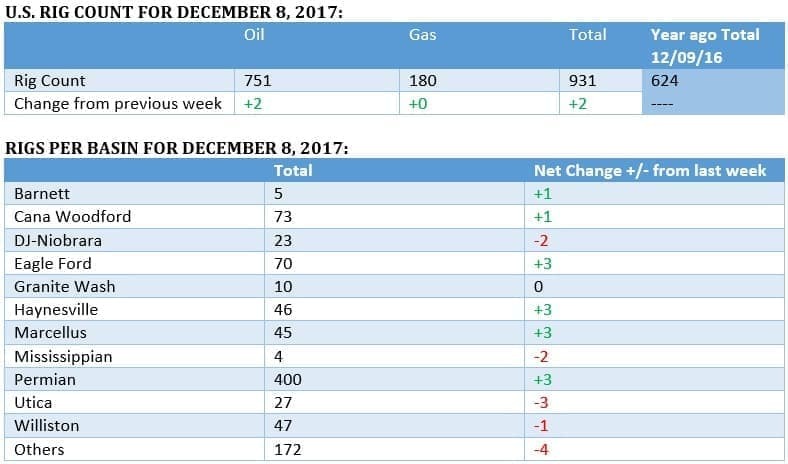 The selloff in bullish bets also coincided with several days of weakness in crude benchmark prices, although prices have rebounded after the outage in the North Sea at the Forties pipeline. 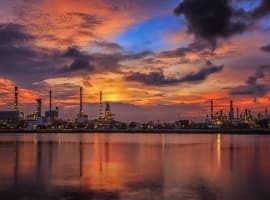 Oil majors lose confidence in Angola. Several oil majors have soured on Angola in the past year, according to the WSJ. BP (NYSE: BP) pulled out of an offshore block and took a $750 million write-down earlier this year; Halliburton (NYSE: HAL) and other oilfield services giants blamed their Angola operations for falling revenue; Total (NYSE: TOT) is cutting costs and “reshuffling personnel”; and Eni (NYSE: E) is trying to renegotiate contracts. 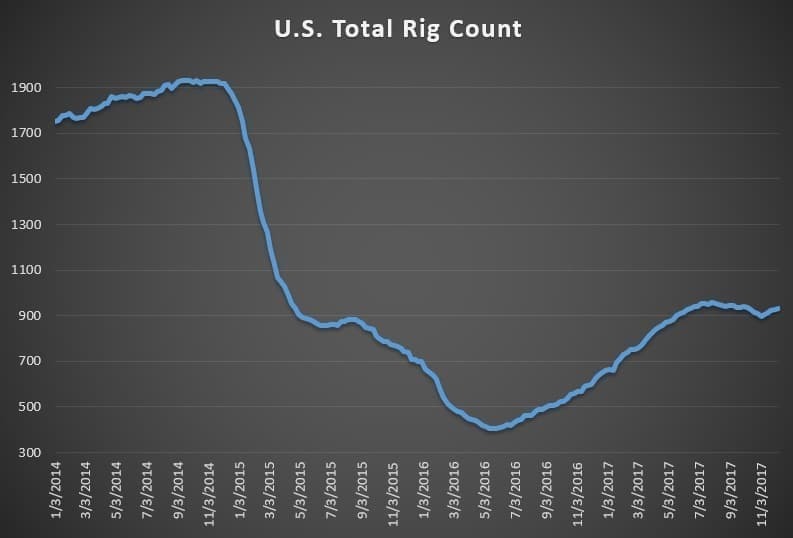 The rig count in Angola has cratered from 19 in February 2014 to just 3 today. And combined, energy companies have announced spending cuts in Angola that amount to $67 billion between 2015 and 2020. Related: Is Oil About To Collapse? Russia’s Yamal LNG begins operations. The $27 billion Arctic LNG project, Yamal LNG, began loading its first tanker last week. The project will use icebreakers to ship LNG north of Russia to Asia. The project is jointly owned by Russian gas company PAO Novatek, Total SA (NYSE: TOT), and China’s CNPC. Trump admin to offer offshore drilling plan. The U.S. Interior Department is set to unveil a five-year drilling plan this week, which is expected to crack open the door to Atlantic and Arctic drilling, after the Obama administration hoped to keep that door closed. Lithium-battery factories skyrocketing on EV demand. The number of battery “megafactories” that are either in production or under construction around the world has jumped to 26, according to Benchmark. That compares to just 3 megafactories – factories with battery production capacity of at least 1 gigawatt-hour annually – that were in production or planned as of 2014.